Jazz drummer Tim Giles is an award-winning performer and composer. 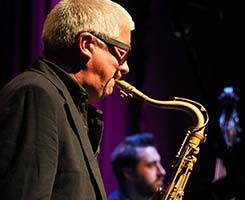 Living in London, he is known for his collaborations with saxophonist James Allsopp and other key members of the UK jazz scene. A musical prodigy (winning a Telegraph Young Composer Award aged twelve), Tim started out by sitting-in with jazz musicians that visited his home county of Suffolk. 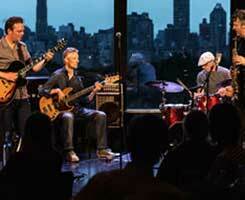 Whilst still in his pre-teens Tim formed his own trio, which was heard by saxophonist Iain Ballamy. This led to Iain asking Tim to play in a Ronnie Scottâ€™s residency as part of the nascent Hungry Ants. Recordings and touring followed, fitting in around the obligatory school calendar. Soon, Tim was performing internationally at events such as the Copenhagen Jazz Festival, and St Louis Jazz Festival, Senegal (providing support for Joe Zawinul amongst others). He left school at sixteen, and moved to London to be a full-time musician. After several years successful freelancing, playing with the likes of Stan Sulzmann, Kenny Wheeler and Julian Arguelles, Tim was forced to put performing to one side due to RSI and back problems. This challenge gave Tim the opportunity to focus on his composition. 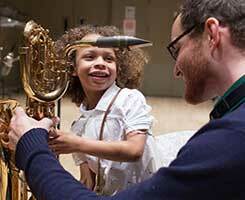 Whilst studying at the Royal Academy of Music in London, Tim met saxophonist James Allsopp. 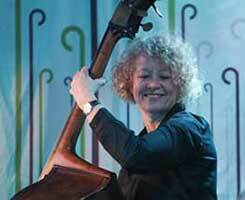 The two musicians connected in their aims to blend improvisation with composed music, and in spring 2005 Allsopp and Giles formed the 5tet Fraud, co-composing and co-leading the band. Tim used an electronic drumpad to trigger pre-recorded samples, and FX units to process the sounds in real time. 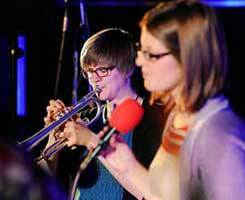 The breakthrough gig for Fraud came at the Cheltenham Jazz Festival as part of the Jerwood Rising Stars programme, which was voted Best Gig 2006 by Jazzwise magazine. Their debut album â€˜Fraudâ€™ was nominated for â€œAlbum of The Yearâ€ at the 2007 BBC Jazz Awards and the duo received the award for â€œBest New Actâ€ at the 2007 Ronnie Scottâ€™s Jazz Awards. By this point, Tim had (through his study of the Alexander Technique) returned to full capacity, performing both electronics and live drums within the band. 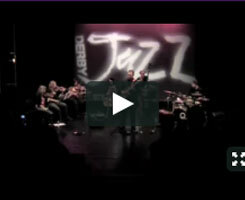 In July 2008, Fraud won the BBC Jazz on 3 Award for Innovation, with their performance at the award ceremony subsequently broadcast on BBC Radio 3. 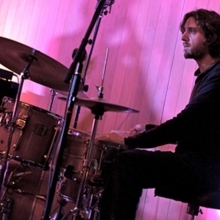 Since his well-received return to drumming, Tim has played with a number of established bands and artists including Ben Lamdinâ€™s Nostalgia 77, James Allsoppâ€™s The Golden Age of Steam, Stan Sulzmannâ€™s Neon Quartet and Neon Orchestra, Iain Ballamy, Ed Jones, Matt Bourne and Jamie Cullum, also co-leading the bands Leverton Fox and The Twelves.